If you use the search on the website, then be sure to find a similar addon that adds nothing more than frogs. 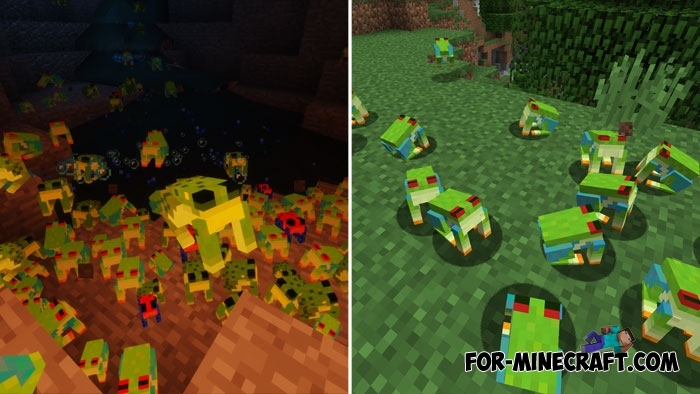 The Frogs addon has its drawbacks compared to this, so all frog fans should download this addon. It adds several different types of frogs, each of which has distinctive differences. In general, all frogs behave the same way: they are not aggressive and you can keep a couple at home. Sooner or later frog croaking will start to bother you and you let your pet back into the wild. Additionally, frogs received an updated drop including new items (some are useless). 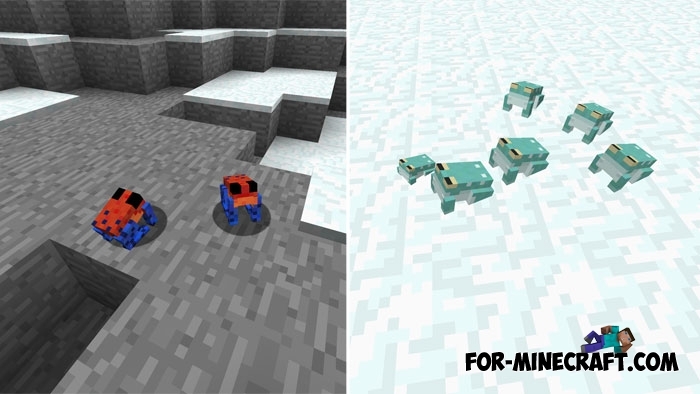 How to install the Frogs pack? 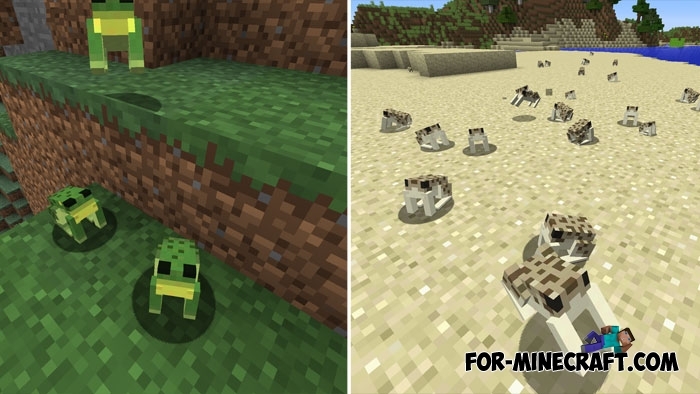 Frogs addon (Minecraft PE 1.1)You do not even suspect that frogs can become your friends in Minecraft PE 1.1..